Design Swirl: Mirror, Mirror on the Wall - Which is the Fairest Building of Them All? Mirror, Mirror on the Wall - Which is the Fairest Building of Them All? That's the question Vanity Fair magazine recently posed to leading architects around the world. Their answers, spotlighting some of the most architecturally-interesting buildings, were featured in the magazine's World Architecture Survey. 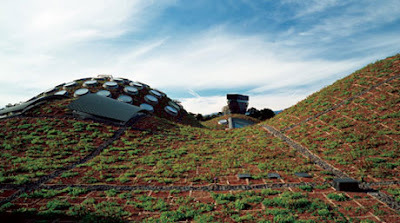 Perusing the list and noticing a distinct lack of eco-love, Architect magazine responded with its own rankings of the most sublime "green" buildings within the last 30 years. Before you find out which buildings Vanity Fair's experts deem the best in the world in the last 30 years or see photos of the top 21 here or learn which "green" structures Architect claims are the best or see the slideshow of the "green" picks, can you guess which architect took an impressive second place on both lists? Recognize him? 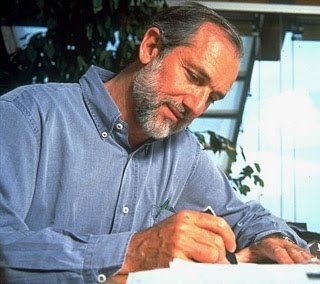 Does the name Renzo Piano strike a chord? Which building - "green" or otherwise - do you think is the most architecturally-exciting public building locally and why? Inspired design • stylish objects • playful and witty • cool and cultivated. Simple luxuries, exquisitely edited. Friend us! Win tickets and beautiful objects. Meet designers. Discover products. Tour homes. Visit gardens. May 8 Mother's Day - Plan a Garden Party! Mirror, Mirror On The Wall: Which is the fairest building of all? Lemons, roses, jasmine and bulbs in the garden. Small outdoor surprises - a planted urn, an unusual plant, a watering dish for birds and frogs - glimpsed through foliage. Sparkling clean windows and mirrors. Doors thrown wide open for fresh air and neighborhood sounds. Fragrant flowers - freesias, lilacs, hyacinths and lilies - on a desk. A touch of zebra, a suggestion of equestrian. Crystal lamps, silver frames and objects in classic, geometrical shapes: a ball, an egg, a cube, or a triangle. A French provenance. A Louis-style chair, book, pen or image. Organza bags filled with gardenia aroma beads, tied with ribbon, and hung from door knobs. One room in a pale shade of yellow. Contrasting piping outlining a sofa, chair or pillow. And the family, friends, heroes and pets who decorate our life. Recipe for the Artful "Arnold Palmer"